An elegant, contemporary sun lounger in all-weather wicker, the Imperial sunlounger is the perfect garden sunbed. 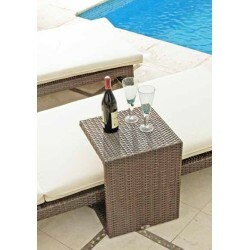 Elegant and practical, this beautiful sunlounger will grace any garden, patio or poolside terrace. Made from all-weather wicker on an aluminium frame with cushions in outdoor fabric, it is not only completely weatherproof, but light and comfortable too.